4. 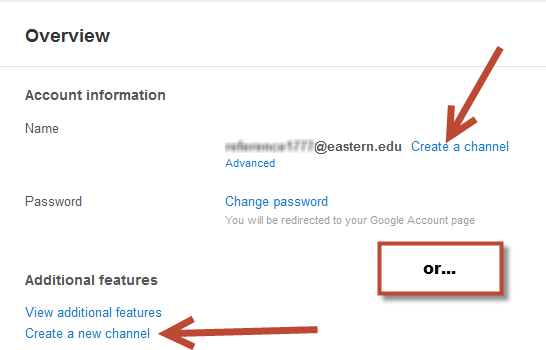 Click on link "Create a Channel"
*Make sure to update your privacy settings. This will ensure that your videos are unlisted/hidden from search engines.